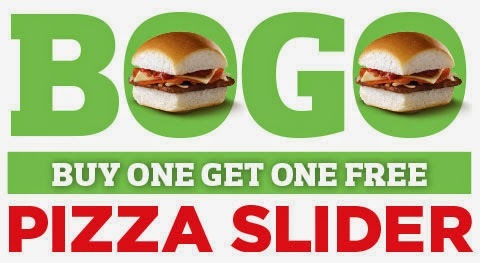 I was checking my email this mooring and found a sweet coupon from White Castle for Buy One Get One FREE Pizza Sliders. COUPON EXPIRES 11/15/14. LIMITED TIME ONLY. WHILE SUPPLIES LAST. Not valid with any other coupons, discount offers, specials, online orders or offer. One coupon per customer per visit.